I went to the gym today. Don’t be silly, of course I didn’t exercise. I went there to use the foam roller, because I listen to you all. I’m on day number three of no knee pain but also on day number 13 of not running, which makes me want to simultaneously sigh with relief and scream with rage. I haven’t dared to run yet because I’ve been doing the grownup thing and being responsible about it, making sure it fully heals. Virtual pat on my back, please? Thanks. Anyway, the foam roller. It was nowhere to be found. Of all the useless stuff lying around that gym (by “useless stuff” I mean the really heavy weights I’m never ever ever going to be able to lift), it had to be the foam roller disappearing. I’m choosing to take it as a sign of the gods. You guys suggested, I tried to do it, it didn’t happen. It just wasn’t meant to be. So let’s move on. The gym I go to is one of those 24/7 gyms, unstaffed outside regular business hours. I do business-y stuff during business hours so of course I’ve never seen any staff, since the day I signed up for a membership. They do have a feedback notebook lying around that I sometimes read when I get bored with working out and decide to sit on the couch at the gym instead (my rule of thumb is that I have to use the machines for longer than I sit on the couch, which doesn’t always happen). I wrote my little note asking about the foam roller and begging them to bring it back. Then I thought I’d read the last couple of pages of feedback, just in case there were any clues that could lead to solving the mystery of the missing foam roller. There were none. Sorry, everyone. But there was one particular gem that saved the day because it gave me something to rant about. You see, there’s this lady who apparently works out at my gym. Let’s call her Carrie (because that’s her name). I don’t know what Carrie looks like. She has nice handwriting, I got that from her note on the feedback notebook. The other thing I know about Carrie is that she smells like roses, especially while she works out. And she wants you to get the hell out of the gym, stinky. Carrie wrote in the feedback notebook that the gym should introduce what she says she’d heard of other gyms introducing: a “smelling policy”. Let’s follow Carrie’s arduous journey so we understand the roots of her deep suffering: Naturally Chanel-like scented Carrie goes to the gym, she works out but maybe not enough to break a sweat because that would be disgusting. Next to Carrie, harshing her mellow, is some sweaty stinky person, really going for it. How dare these stinky people do that to Carrie? Using exercise machines to, like, exercise? The nerve. I mean, Carrie doesn’t have to put up with that. She suggests that, in these situations, the gym institutes a policy that allows her to request that the smelling person be removed from the gym premises. Have you finished laughing yet? Took me a while too. A few days ago, Gawker’s “Thatz not okay” section responded to a reader who wrote complaining about how she goes to the gym every morning and always sees this woman reading a book on the treadmill, set to a low speed. The reader wanted the lady kicked out of the treadmill for reading a book and walking/running too slow and “sometimes staring at other people on treadmills”. Carrie and the Gawker reader sound like BFFs. Or twins. Or – plot twister – one and the same person! But, really, jokes aside, what’s with the self-entitlement, people? There’ll always be someone faster than the lady complaining about the slow person on the treadmill so how would she feel if Usain Bolt decided she just wasn’t using the treadmill the way it should be used and should, for that, be kicked out of the gym? And what if someone decided that Chanel 5 Carrie’s shirt is too ugly or her hair looks too funky? How would Carrie feel about being forced out of the gym for those reasons? Luckily for Carrie, there’s a place called Super Generic Girl where, with the adequate amount of Googling, she can find the answer to her problem: buy your own damn exercise equipment and stay home. Alternatively, if that’s too expensive, understand that you are paying a membership just like everyone else and leave your self-entitlement in the shelves by the entrance. Do you agree with a “smelling policy”? Is this really a thing? Does your gym have something like that? If yes, then how much longer until you stop giving those people money? 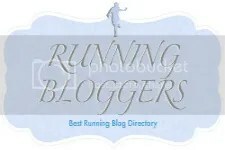 Categories: running | Tags: fitness, foam roller, gym, gym policies, running, self-entitlement, workout | Permalink. You tell them! If you wear enough perfume while in the gym that you make others suffer and then you complain about sweat, you need not to throw stones, you might bash yourself. Having had the most disgusting workout next to someone the other day I’m with Carrie. Sweating is fine. Working out in kit that hasn’t been washed so people two machines away can smell you not so fine. And yes, I sweat at the gym.